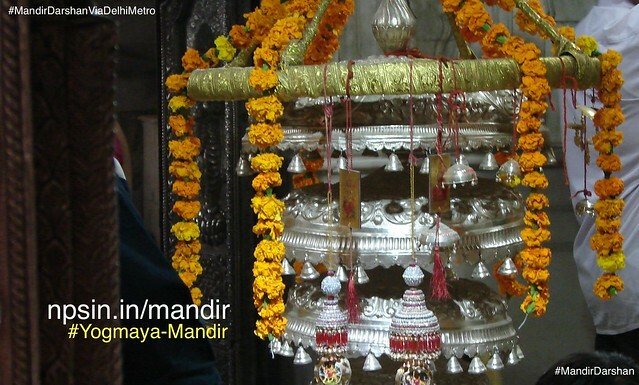 Shri Hanuman Balaji Temple is established by Shri Vinod Kumar Bindal and is situated near Dilshad Garden metro station. This Balaji temple is the most popular temple of Delhi for the treatment of kidney and gallbladder with Ayurvedic medicine. The most panoramic view takes place on Saturday when visions of 40 kgs pure silver murti of Shri Hanuman is done along with the sunderkand path. The vision of Shri Hanuman murti makes the devotees feel so relieved and become free of anxiety. With the help of Shri Tulsi Pavitra Plant, a very beautiful park has been built. The waterfalls of Shri Krishna and waterfalls near the park make the park even more delightful. All the work has been done using the finest Rajasthani white marble. 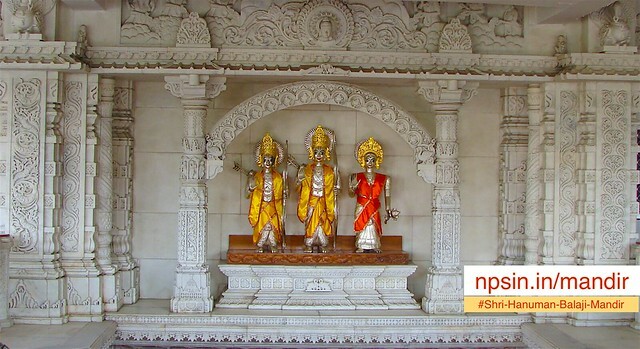 The premises of the temple is built in 12000 square feet. Manokamana siddha Shri Hanuman Mandir. 40kg of pure silver statue of Shri Hanumanji.